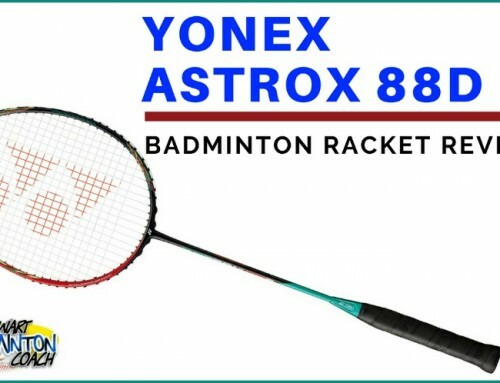 My first memory of the Victor Jetspeed 11 badminton racket was seeing a Korean player with a pink racket, and it was a male player. This was late 2017. Fast forward and Jetspeed 11 was launched in March 2018 and forms part of the Jetspeed range in the 2018-2019 European catalogue. Jetspeed 11 is the first Jetspeed to be made in China, other versions are made in Taiwan. With the huge popularity of Jetspeed 10 and Jetspeed 12 rackets, there could be an argument that a strong third model will compliment the range. I’ve no idea whether this racket was born from a desire to find a racket that sits between these two iconic rackets. The big question is whether Jetspeed 11 can live up to the task and possibly receive the same accolades bestowed on the Jetspeed 10 and 12. 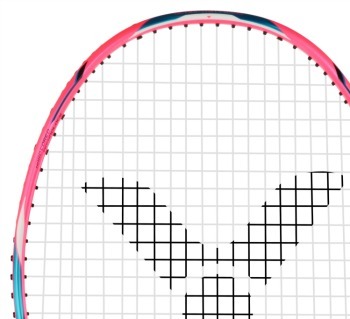 Jetspeed 11 is a really striking racket featuring a matt pink finish with black, blue and white decals. My review sample is a 3U (85-89g) with a grip size G5, my favourite size. The standard full length cover in black, with blue Jetspeed logo is included. The frame required stringing and I selected a .066 gauge string for the review at my preferred tension for reviews of 25lbs. Specification is slight head heavy with medium/stiff flex. The head weight is heavier than Jetspeed 10 but just a shade lighter than Jetspeed 12. The decal on the racket says the racket is head light and stiff shaft…I disagree. The head is standard size and boasts a new feature which is an inner ridge through the middle of the frame but not present at the head or throat. As you know, I don’t usually comment on the marketing or gimmicks on rackets and prefer to focus on playability. Do let’s see if I notice anything different. I seem to be spending more time testing rackets these days, and take longer to reach a verdict. I like to be fair to a racket and not base an opinion on a few minutes hitting. I recognise I need to speed up the process, but consider it’s important to give each racket a fair chance. It just so happens I am being asked to test more rackets which then creates a bigger queue. Jetspeed 11 swings fast, although not as quick as Thruster F. It lags a little and maybe this is because I have used a lot of stiff frames recently. The head weight is nice, very manoeuvrable and delivers a good solid feel, although not as crisp as Thruster F. Perhaps there’s a touch more hold on the shot and this may be more evident as I move through the range of mid court shots. 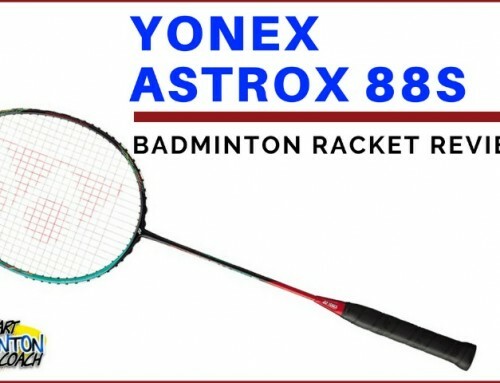 Compared to Jetspeed 10, drop shots needed a little more effort but that’s no surprise when comparing these two rackets. Like any racket, once you get used to it, you should be able to play your shots. 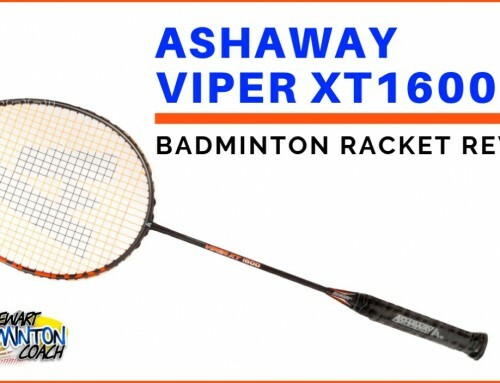 In some respects, the extra weight in the head will appeal to those Jetspeed 10 users who want more from the rear court without having the weight of the 12. This racket definitely sits between 10 and 12 from an overhead perspective. Smash was good too although there is definitely a different feel. This holding feeling is still present which takes a bit of the edge off a smash although accuracy was very good. Not a bad trade off. Mark was still hitting a few thunderbolts, so it can deliver good power, but not quite as crisp in feel. As we moved into mid-court hitting, this racket moved up a gear. Flat drives were really easy, with a great feel and superb response on the stringbed, which is difficult to put into words. The frame was fast although not Jetspeed 10 fast. 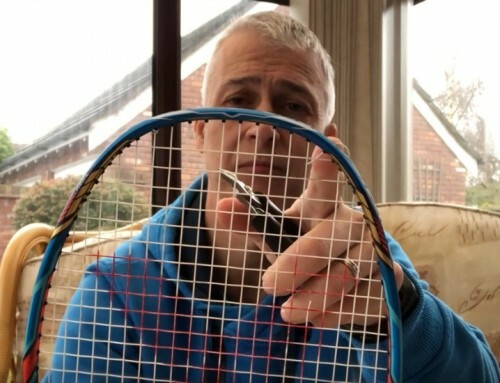 Overall, there was a great feeling of control from this racket and I can imagine it will appeal to those clever players who use deception, change in pace and direction well. From this perspective, Jetspeed 11 is a winner. Once again this racket wasn’t as fast as Jetspeed 10, and maybe it’s an unfair comparison. It is still very quick, highly responsive and demonstrated great feel on the shuttle especially when manoeuvring the shuttle around the court. This is one of those rackets that gives a lot back if you have the hand skills to defend well. This holding on the shot seems to provide an element of control and maybe this is what the inner ridge does? I can’t be certain. but I do like the feel in defence. I can’t fault the Jetspeed 11 in manoeuvrability around the net. 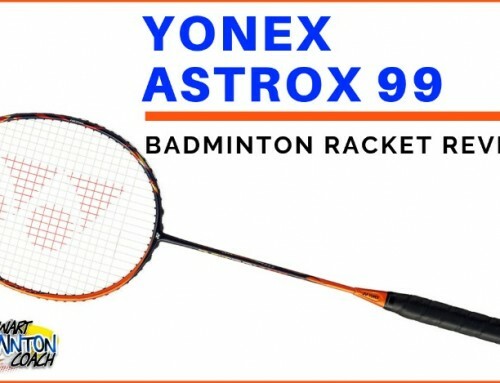 There’s a feeling of confidence this racket gives which can sometimes be lacking or minimal in other rackets. You can afford to take a few chances, go for the shot and know you have the control to move the racket face to get the desired outcome. Thumbs up again for net performance. Has Victor managed to bridge the gap and build a racket that is almost a mid-way point between Jetspeeds 10 and 12? I believe they have. I know Mark liked it too. For the record, this is NOT a ladies only racket. I suppose the colour choice will be off-putting to some men and I fully understand this. But, in defence of Jetspeed 11, this is a nice reddy/pink rather than Barbie pink which helps a little. I would definitely play with it. Jetspeed 11 is a good mix of power and control. It is highly manoeuvrable but slower than Jetspeed 10, but faster than Jetspeed 12. There seems to be an altogether different feel on the stringbed, which I can only put down to a very responsive but almost holding feature. For a play-maker, this is a great racket. It will also suit the defensive style too. Whilst there is some crispness lacking in the shots, perhaps this is part of the DNA of this racket, hold, control and fire. I suspect crispness will feature more if restrung at a higher tension, but I am fine with the current feeling on the racket. RRP is a hefty £210 but retailers are already discounting to around £150. It’s a lot of money to spend on one racket, despite it being extremely good and perhaps this is where the colour may have a negative influence. Jetspeed 11 has found favour amongst a number of Korean players who are ranked in the worlds top 20, all competing in doubles events, so I guess it’s slowly finding its market. It’s a superb racket and could be used in any discipline. I really enjoyed testing Jetspeed 11 and it definitely needs a place on your must test list. 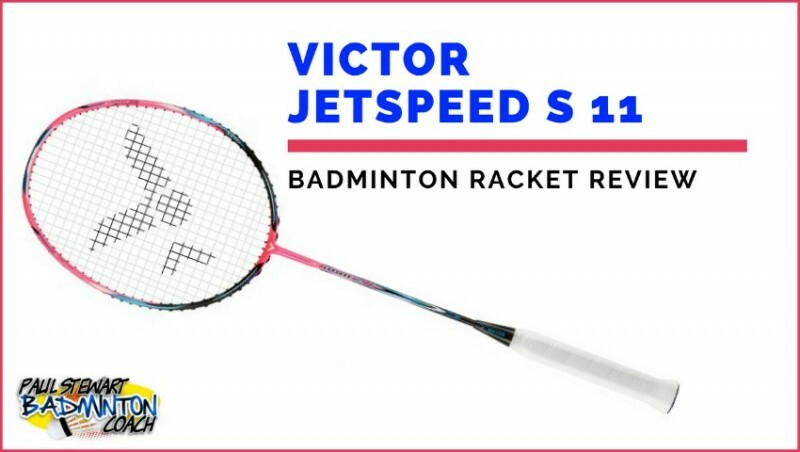 I rate Victor Jetspeed 11 badminton racket 4.5 stars and highly recommend you give it a test drive, especially if you are a playmaker who likes to use their racket to create openings rather than power your way through the opposition.